Vintage Hamilton Watch Restoration: 1948 Brandon - "CLD" as in "sealed"
I have a Hamilton, sold as a Brandon. The difference from your photos is that on the dial CLD is written below the Hamilton. Did they produce different worded dials ? Most of the time you will see "CLD" under the Hamilton on CLD models. Sometimes the CLD is not there and I don't know if its just certain years on certain models. I've seen missing CLD's on other models too. So I would say your dial is correct to have CLD on it. It might just be a later model like a 1950 or 1951. 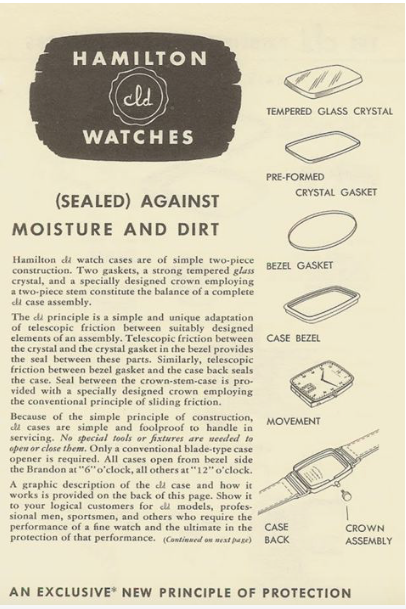 For example, the 1951 Brandon shows the CLD on the dial in the catalog ad. That makes sense, I think. I've just bought an earlier flexible lugs Brandon, which doesn't have CLD on the dial. The seller gave this a 1946 date (I've seen another with this date too) were they made pre 1948 ? 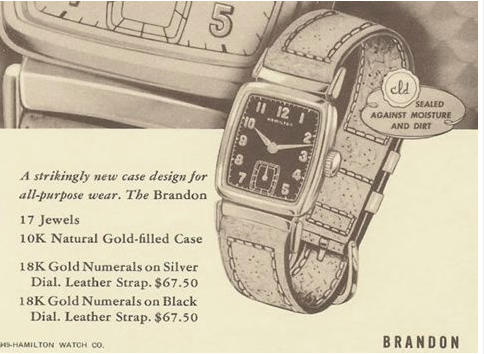 The Brandon was introduced in 1948 and it had flexible lugs only in it's first year. So if yours has flexible lugs it's a 1948 for sure. As for the movement, there are different tables that try to match serial numbers to production years - but they're not always accurate. 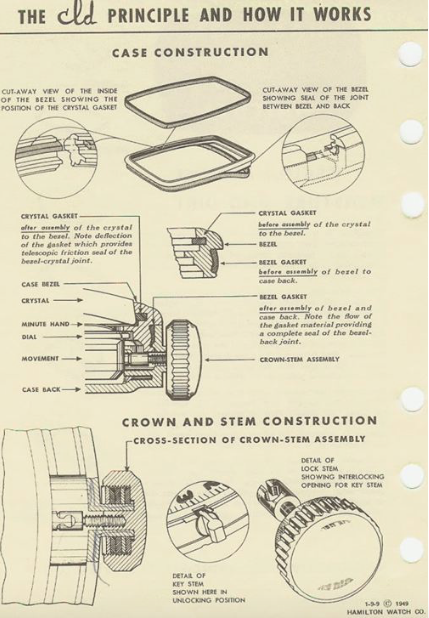 If yours dated to 1937 that would be one thing, but being within a couple of years of 1948 I would say as long as it is a 980 movement then I wouldn't be too concerned. 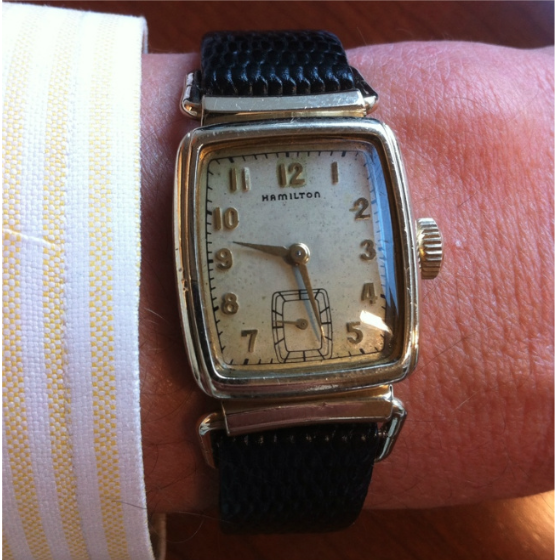 I have the back, 'guts,' and face of a 1948 white-dialed version of the Hamilton. It was given to my grandfather in 1948 as a retirement gift and I'd like to refurbish it. I don't have the case, nor the band. Someone told me I might just have a jeweler cut the inscription off the back and solder it to a new watch. 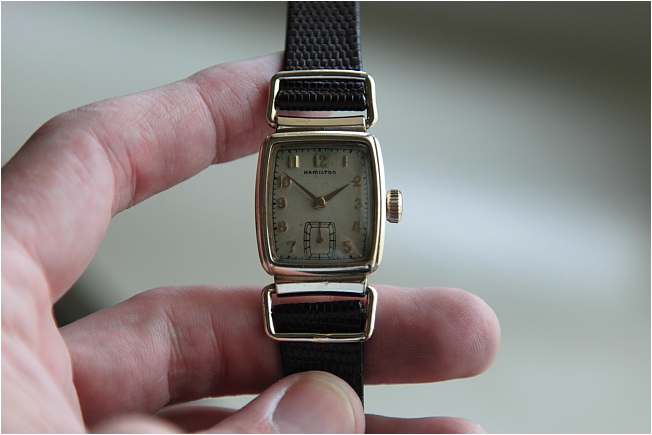 Any thoughts on restoring this watch. I do not have an unlimited budget, but am prepared to make an investment to get it back to working order. I'd like to give it to my son some day. I have my father's 1948 Brandon white face that I just got working again. I found a local clock and watch repair person nearby and he got it working for me. He had to replace the stem. It works great now but the white face is a little dirty. Is it a big deal to have this cleaned up? After putting over $200 into it, I am hesitant to spend more. Jeff - cleaning dials should only be attempted if you're willing to get them refinished. I'm sure International Dial Co would do a fine job refinishing your Brandon dial to look "like new". It would run about $50 or so. You would need to be send them just the dial though - which means taking it off. Email me for more thoughts. Thanks for the tips. It may be something that I will think about doing in the future. Right now, I will leave it as is. I am just happy to have it working again. My parents (now deceased) were married in 1948 and I believe this may have been a wedding present from my Mom to my Dad. I found it in his old TV Repair tool box a few years ago. 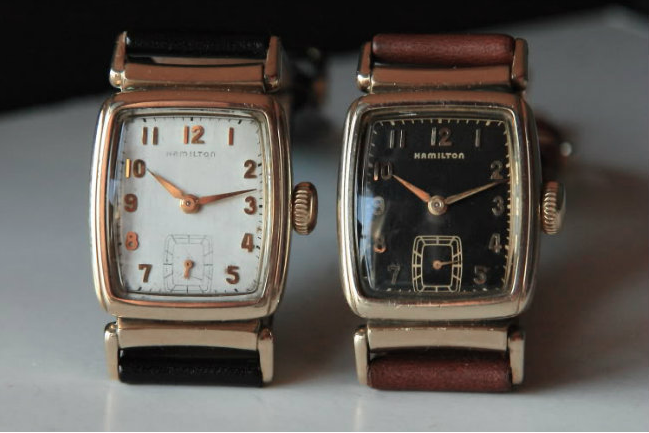 After looking at your website, I may have to find another old Hamilton. 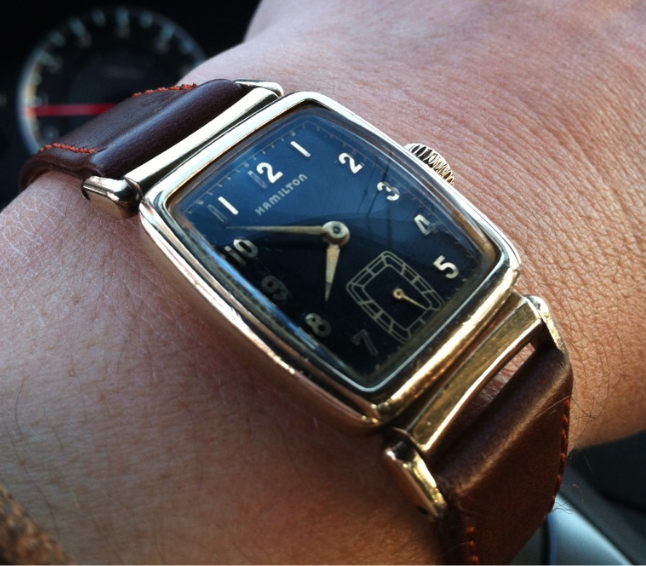 I have been looking for a 1948 Brandon or other similar Hamiton. If you or any of your followers ever have one from '48 to sell, I would be very interested. Hi I was wondering what the size of the Hamilton Brandon is and what size wrist do you have? I was thinking about picking up one myself, and I have fairly small wrists. Thanks! It's a small watch by today's standards. I have 7" wrists or thereabouts.